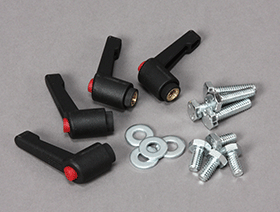 Ratchet knobs are perfect for tool-free operation of any 1/4” T-slot connection, but their neatest tricks are that they’ll work in tighter spaces and are more comfortable to operate than conventional knobs. 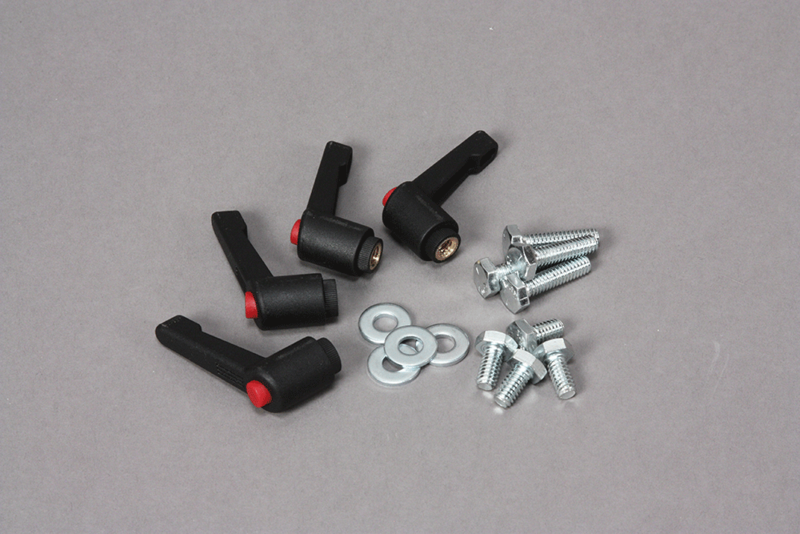 These knobs need very little clearance because the lever can be repositioned on the knob’s body - just pull and rotate the lever into open space, and releasing the lever reengages it with the body (however, the lever does not actually ratchet back and forth like the one in your socket set). 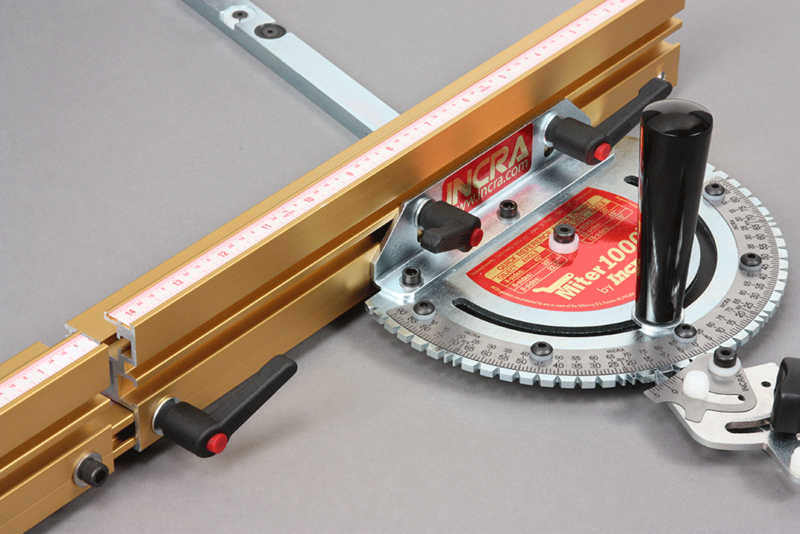 1/2" hex bolts (included) are perfect for the fences and extender bars on INCRA Miter Gauges and sleds. 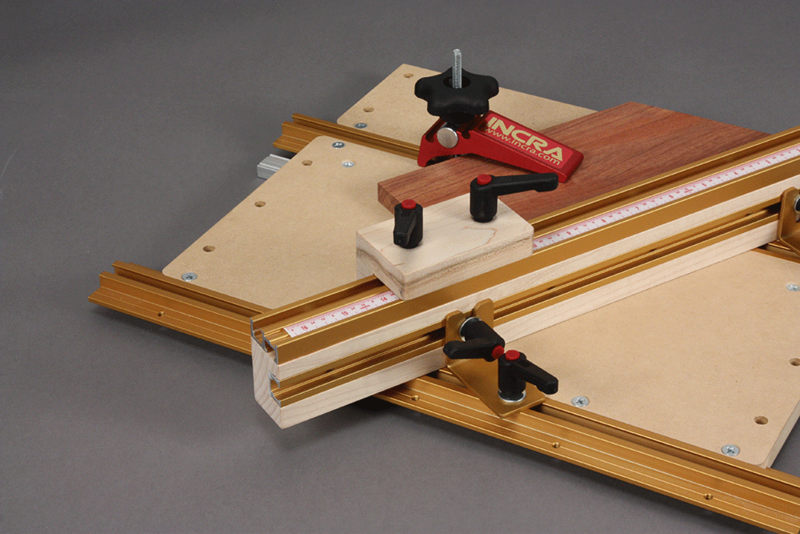 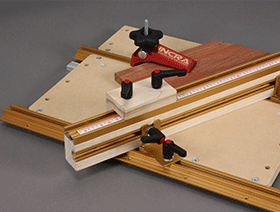 Ideal for the fence mount & extender bars on INCRA Miter Gauges, the T-slots in INCRA Miter Sleds, jigs assembled with Build-It components, and INCRA T-Track & T-Track Plus.